This Wednesday, March 22, the Judiciary Committee will be holding a public hearing on legalizing marijuana. The public hearing on the bill, SB 11, An Act Concerning The Legalization And Taxation Of The Retail Sale of Marijuana, will be held in LOB Room 2C at 10 a.m. Public hearings are an important part of the legislative process, as we are here to represent you and need to know how particular new laws could - positively or negatively - impact you, your family, your home or your business. Click here to read a guide for testifying at public hearings. If you would like to testify, but are unable to attend the public hearing, I invite you to submit testimony at judtestimony@cga.ct.gov. 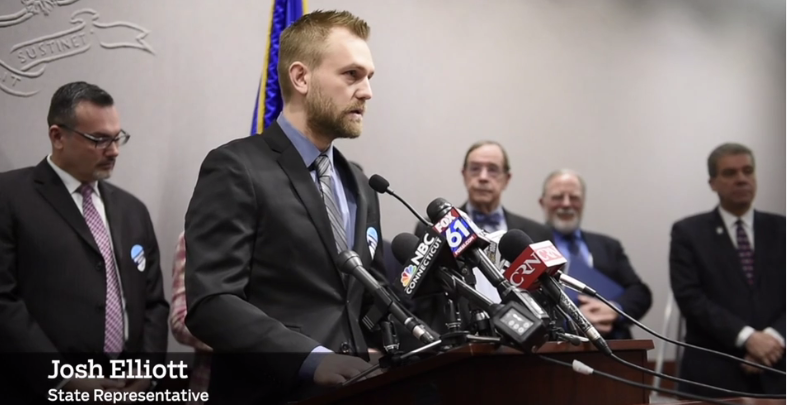 I recently spoke in favor of this bill at a press conference. You can watch a clip of my speech here. To read my entire speech, click here. "It’s time to stop using marijuana as a tool to marginalize people. If there’s abuse, let’s address the underlying problem. But when there isn’t, let’s tax it, and treat the sale and use like any other industry. It’s time for us to be leaders." To read more about this bill, I invite you to read this CT News Junkie article. As always, feel free to contact me with any questions, comments or concerns via email or call me at 860-240-0850.